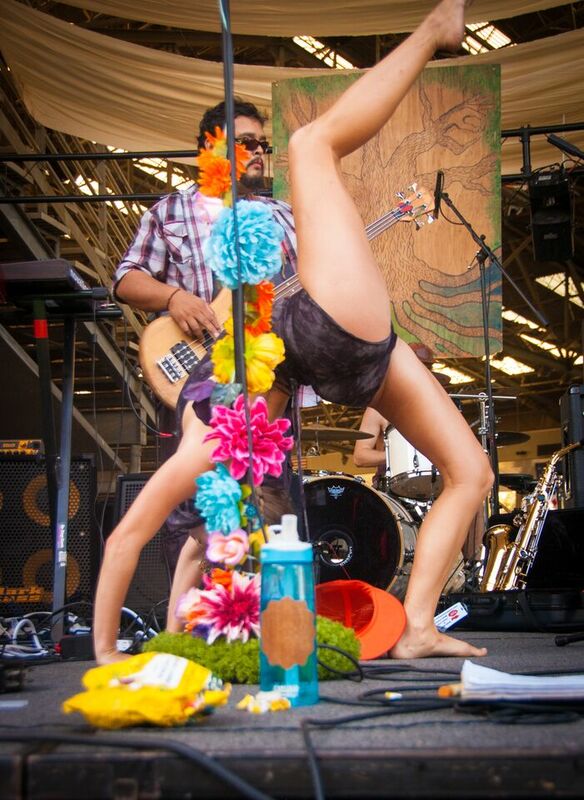 Eclectic Roots, striving on the ideals of building a community of artists and musicians, supporting each other, revived their annual festival two weeks ago at the Expo Center, Saturday October 17th, in City of Industry. 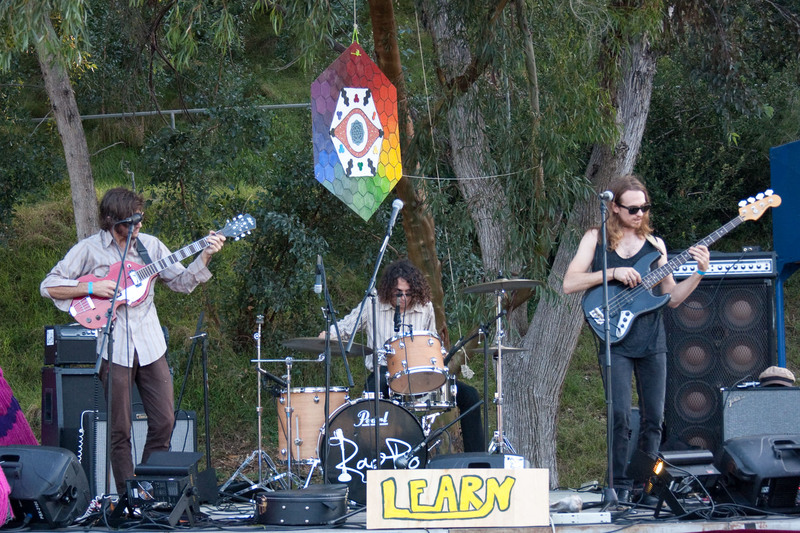 The festival literally broke off into the “movement’s” ideals of “Ride, Learn, Grow,” and “Enjoy,” with four stages throughout the beautiful scenery of the Expo Center. 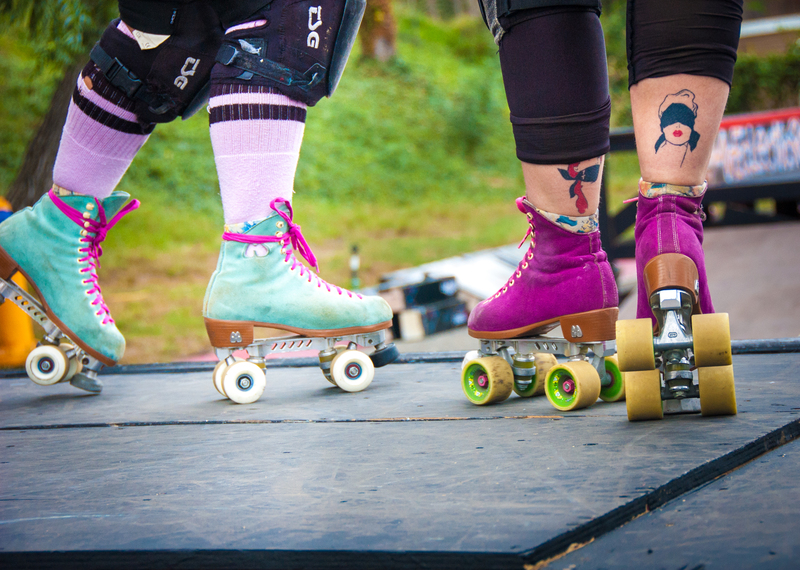 It provided a platform for new music discovery supporting local bands, and the arts, with its festivities such as, a Fixed Gear Race, skateboarding, rollerblading, video game stations, and paintings. 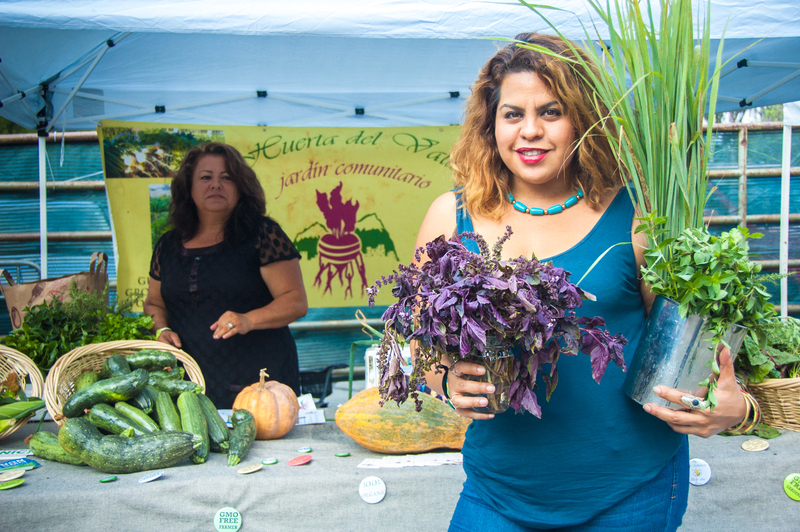 Organic vendors, jewelry and other creative outlets flooded the side, allowing on-goers to embrace the arts in every way. 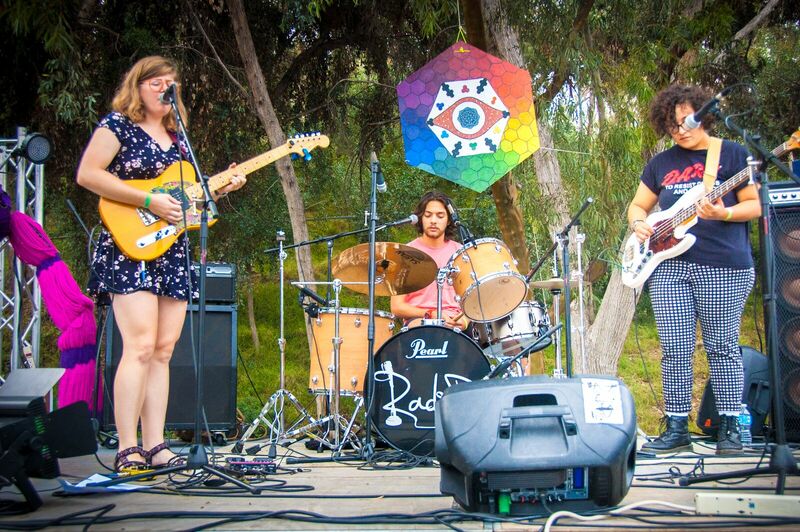 With a solid lineup of over 30 musical acts performing that day and throughout the night, the festival became a platform for musical junkies to soak their mind in, from Psych, surf, Grunge, and DJ sets that brought the funk and electro vibes for dancing pleasure. New music was also featured by locals such as Mind Monogram, The Violet Mindfield, Iris, and Dabble, as teasers for new EP’s to come, as well as oldie but goodies performed by the new line-up of Wax Children. 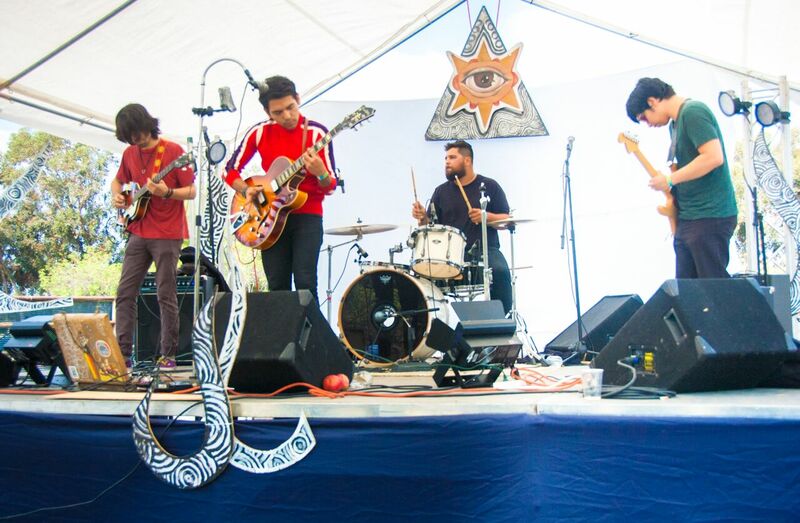 “Desert-dance” came to the festival by La Puente and Hacienda Heights locals, Dead Bedouin, amongst the lovable Psych and Retro bliss brought during the night by Children, as well as during the day by Sand Babes and The Hidden Depths. TV Broken 3rd Eye Open and Furcast were anticipated closers for the festival, and DJ Sets by Chewbacca Beats and Mordecai were among the favorites. 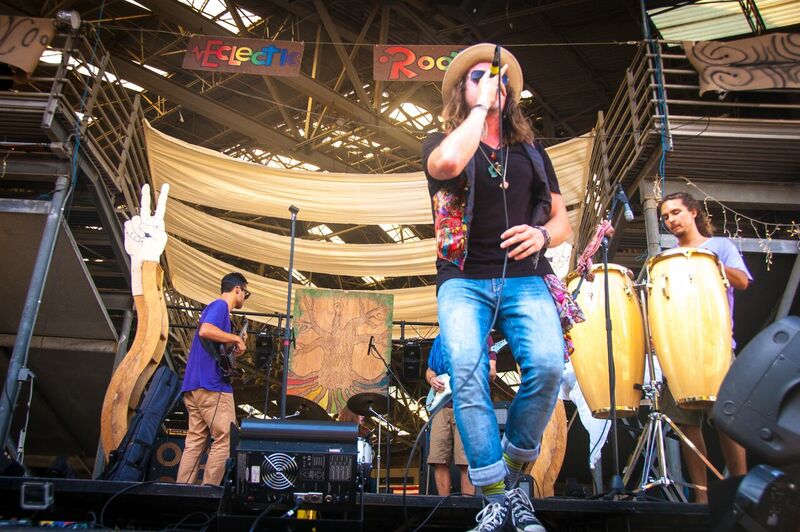 Eclectic Roots Founder, Michael Hammerson, was kind enough to answer a few questions on his ideas into the future of Eclectic Roots, the mission, and of course how “we” can help the growing movement. GUM: I first wanted to express gratitude for having such a great idea to continue to bring people together of the arts, it’s a refreshing thing to have nowadays. Hammerson: Thank you, it’s nothing without people like yourself to experience and reflect its beauty. GUM: Some general questions that I had was how did this come to be? Initially when you started these festivals, what was the idea and motivate behind it? In short, I’ve been to a lot of festivals and wanted to create one on our own terms. 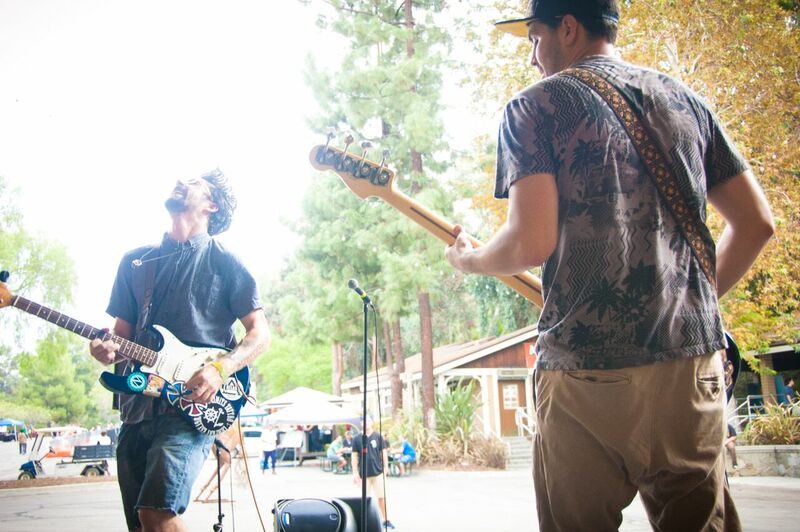 A festival that highlights the underground rock n’ roll and skate culture of Southern California yet holds onto a lot of the transformational festivals values. I see a lot of different groups that can benefit from opening up to each other and we have the ability to create an environment conducive to this. 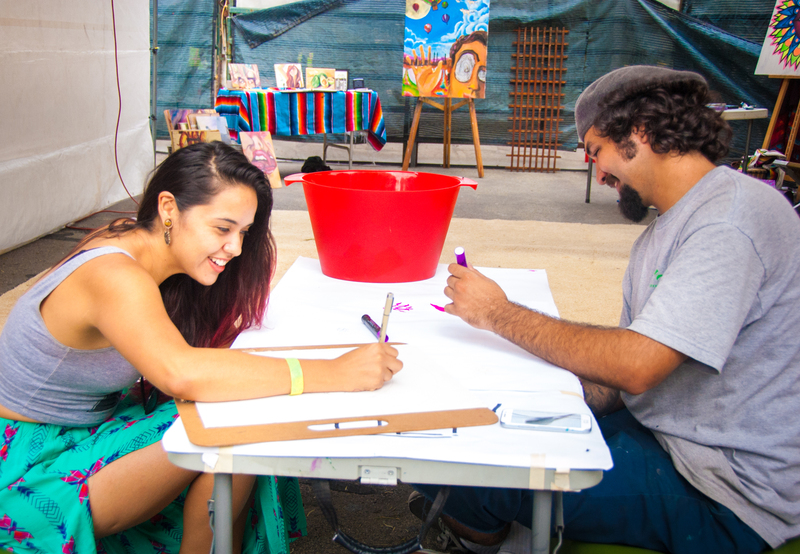 The intention is pretty similar to when it began it has just expanded to include more workshops and education based programs as well as a wider range of musical genres and more disciplines of art. We have some pretty wild ideas and a very unique vision developing, it’s going to be great to see it come to fruition! GUM: During this year’s event, was there an overall goal you wanted to achieve compared to last years? Hammerson: Truthfully, our main goal was quality production and efficient organization. This and the safety and good times of all of the attendees and participants. The progress is clear in relation to last year, and we feel we are ready to take it to the next level. GUM: Was this year a good turn out, statistically speaking? Hammerson: I’m not sure about statistics, but we feel good about the turn-out. It’s exactly what it needed to be. Good vibes, positive feedback, no problems. Hammerson: We will be focusing most of our energy on growing the festival with Industry Hills. The potential there is ridiculous… camping, definitely camping. GUM: How can “we” help? Hammerson: There will be plenty opportunities to get involved as the plan for next year’s festival unfolds. In the meantime, keep doing exactly what you are doing, follow your passion, harness your talent, stay inspired! Spread the word! Follow us on social media and look out for updates. GUM: Anything else you want to say in regards to Eclectic Roots? Hammerson: It’s all about unity and acceptance you know… reaching our highest potential together!